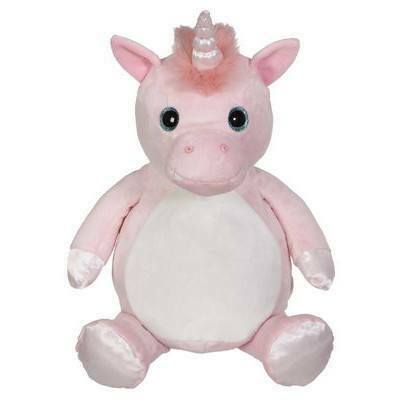 This Embroider Buddy, Whimsy Unicorn, is 16" and makes a perfect gift for anyone! To begin unzip and remove the tummy pillow from the unicorn. Use a sticky stabilizer and permanent topping if needed. Hoop and stitch your buddy on your home embroidery machine.